Official Rawlings 1996 All-Star Game baseball autographed under the logo in blue ballpoint by superstar Alex Rodriguez (then with the Mariners). 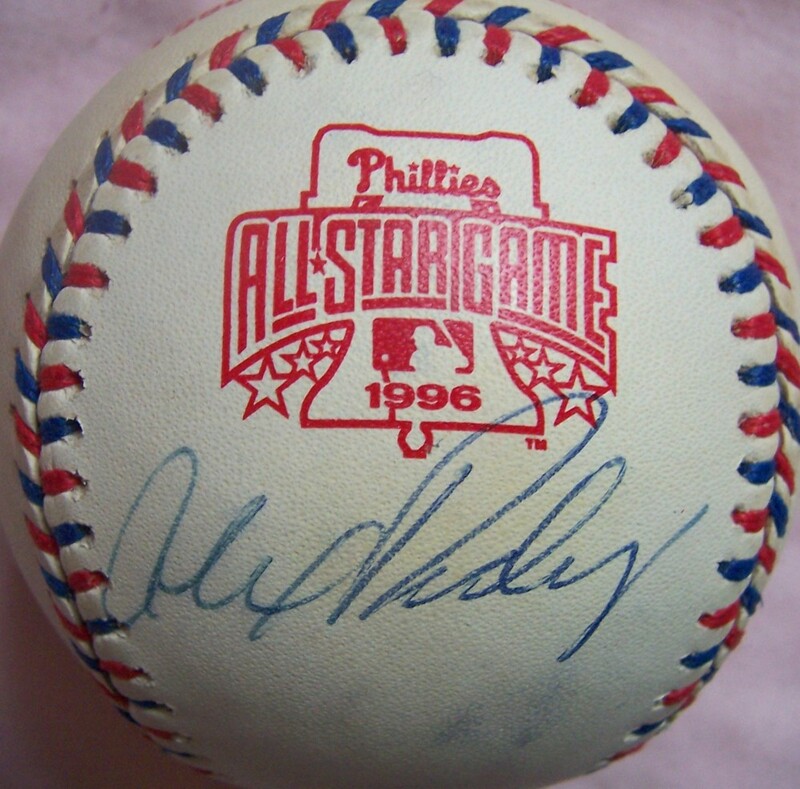 The 1996 game (played in Philadelphia) was A-Rod's first All-Star appearance. NOTE: has minor to moderage age discoloration (yellowing). With certificate of authenticity from AutographsForSale.com. SOLD.